Fundamentals of Cardiac Pacing was just honored with 4 Stars from Doody's Book Review! An introductory guide to cardiac pacing, Fundamentals of Cardiac Pacing covers the key topics that residents, fellows, nurses, and other clinical personnel must be familiar with in order to care for the growing number of patients with cardiac pacemakers. 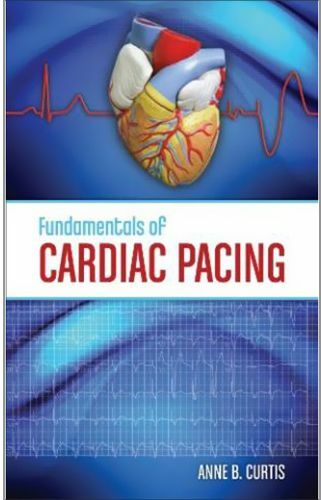 This concise and clearly written handbook covers all dimensions of cardiac pacing including indications, technology, implantation techniques, programming, diagnostics, and follow-up as well as evidence-based guidelines for pacemaker implantation, avoidance of complications, and patient preparedness. This is a straightforward, complete and essential guide to the long-term care of patients with cardiac pacemakers, and is the perfect resource for any health care professional.